Commuting from any of our properties is a breeze. Each property provides easy access to public transportation, the Metro-North train and every major highway for a stress-free work-life balance. You have places to go and things to see. 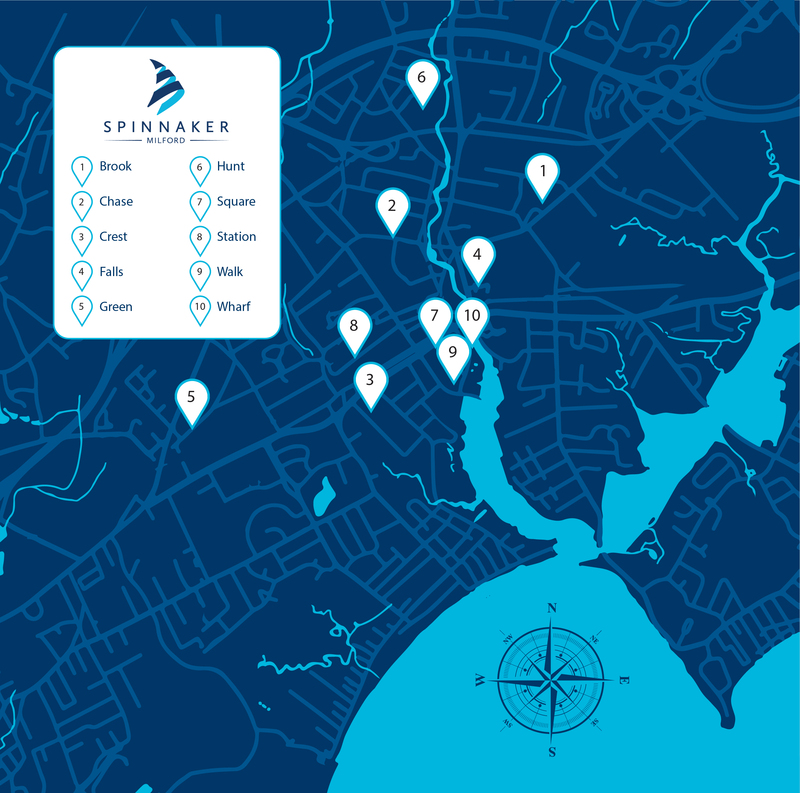 Spinnaker Milford makes that easy with 10 properties located throughout Milford, Connecticut, which is centrally located between Boston and New York City and convenient to Stamford, New Haven and Hartford. City beaches and the Milford Harbor are minutes away and the historic downtown area boasts a meticulously maintained town green, boutique shops and award-winning restaurants. When you call Spinnaker Milford home, every entertainment and shopping convenience is right outside your door. Retail shopping options range from small local shops and boutiques to major grocery chains and large national retailers, including the Milford Marketplace and the Westfield Connecticut Post Mall on Boston Post Road.